But, I carried on . . . being helpful. Sigh. 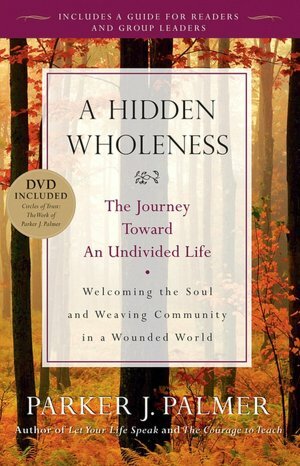 This book, A Hidden Wholeness, has opened my eyes and my heart. The author, who is a practicing Quaker, talks about how ALL of us have “An Inner Teacher.” And how our attempts to help/fix/advise another person keep that person from being able to hear the voice of his Inner Teacher. Yes, God, years ago You clearly said, “Stop nagging Patty about cleaning her room — she can’t hear ME when you nag.” I remember it now. But, I never really thought about it as a Personal Policy. But, I am now. In fact, it is probably part of what You were talking about when You urged me to have a Softer Outside — An Outside that is an Attentive and Respectful Listener. For it seems that we all need to be heard . . . heard without comment or judgment, positive or negative . . . heard so that we can hear our own inner voice. I am both chastened and encouraged by this new paradigm. The book goes on to talk about Circles of Trust and the ground rules for them. I believe that good friends can provide a similar oasis of trust. And I have friends that do this. Friends that hear me with respect and patience. Friends — who by listening closely — help me to hear my inner self. Please, God, I can listen . . . but I need Your help to resist adding a few words of my own!